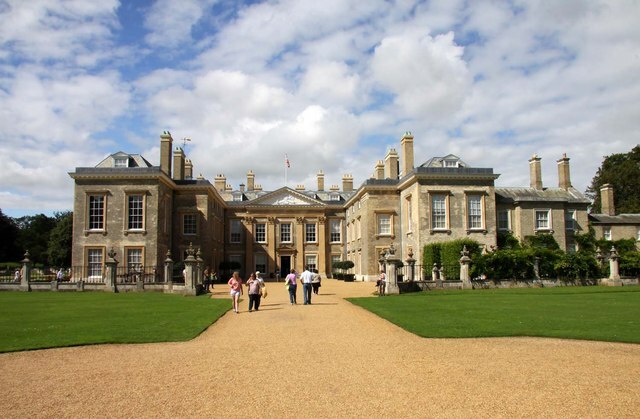 Althorp House, the stately home of the prominent Spencer family and more popularly Lady Diana Spencer, later Princess of Wales, before her marriage to Charles, can trace its origin way back to the 16th century John Spencer purchased Althorp estate with the funds generated from his family's sheep-rearing business in 1508. His grandson, also named John, enlarged Althorp in 1573 using red bricks and adding the south wings, to the shape which then house retains to this day. The house became home to an extensive art collection and other expensive items amassed the Spencers through the years. It was a famous cultural hub in England in the 18th century welcome most if not all of Great Britain's ruling class. George John, 2nd Earl Spencer, who lorded over Althorp and the surrounding lands from 1783 until 1834, organized one of the largest private libraries in Europe at the house, which at the time of his death, boasted of over 100,000 books in its collection. With the decline of the fortune of Britain’s landed elite in the 19th century also saw the house fall on hard times. It was then that John Spencer, 5th Earl Spencer sold much of the family’s collection to Enriqueta Rylands in 1892, who was then building the University of Manchester Library. By the turn of the 20th century, many of Althorp's furnishings were sold and from 1975 until 1992 about 20% of the contents were auctioned. Althorp waspraised for being a "classically beautiful" red brick Tudor structure until its appearance was significantly altered beginning in 1788. Architect Henry Holland made extensive changes, adding mathematical tiles to the exterior, encasing the brick, and adding four Corinthian pilasters to the front. Wootten Hall, as what the grand hall entrance is known was considered by Sir Nikolaus Pevsner as "the noblest Georgian room in the county". In 1877, the Great Dining Room in the east wing extension of the house was added featuring the designs by John Macvicar Anderson. The walls were adorned with faded, red damask silk, adding up to its imposing beauty. At the height of the Blitz during World War II, numerous fireplaces and furnishings were transferred to Althorp from Spencer House for safekeeping. These items still remain in the house to this day. The house’s Picture Gallery which extends to 115 feet and located on the first floor of the west wing remains as one of the very few original Tudor oak woodwork in the mansion. Here hangs the some of the finest portraits in the country, including Anthony van Dyck's War and Peace, a John de Critz portrait of James I, a Mary Beale portrait of Charles II, and many others. In the late 1980s the house underwent a £2 million restoration work, during which time most of the religious paintings of Althorp were sold off. Gain instant access to 16,000 woodworking blueprints. Teds Woodworking has over 16,000 woodworking plans with STEP BY STEP instructions, pics and blueprints to make every project laughably easy!